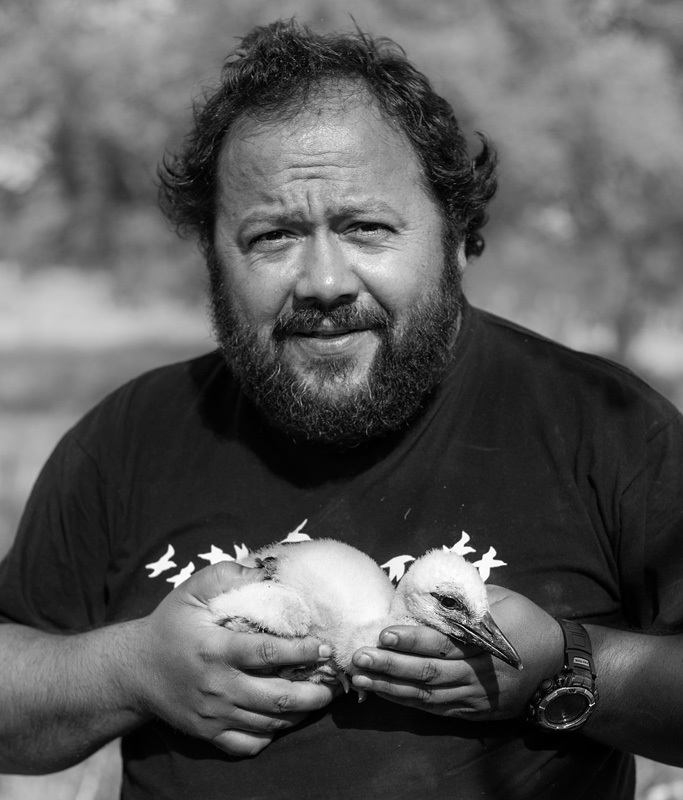 We are delighted to introduce you to this multi-faceted ornithologist, the organizer of the committed Festival Boreal that we took part in a few months ago, founder of the environmental company Birding Canarias and a passionate bird lover. He never stops. Right now, he is up to his eyes in the crowdfunding campaign to raise funds for a documentary project on the Savage Islands, the forgotten islands of the Atlantic. He and Germán Pinelo, a director from Tenerife, have spent years working to discover and to and show us this remote paradise that is so rich in biodiversity. They are now in the last stages and they need your help. They have until December 17th to make it! We’d like to invite you to learn more about Juan José, a friend and a mirlo, the man behind all this dynamism. We interviewed him a while ago, don’t miss it, it’s priceless. 1. Organizing the Boreal Festival, founding a company, Birding Canarias, time spent dedicated to the conservation of the biodiversity of the Canary Islands, and a documented passion for ornithology… How do you manage to combine so many activities? Well, combining these three facets of my life isn’t all that complicated, as all three are my profession and my hobby at the same time. What is more complicated is managing to make them fit in with other aspects of life. If they were all things to do with birds, I’d be totally happy. 2. The Boreal Festival took place in Tenerife on the 19th and 20th of September. Can you tell me more about that event? 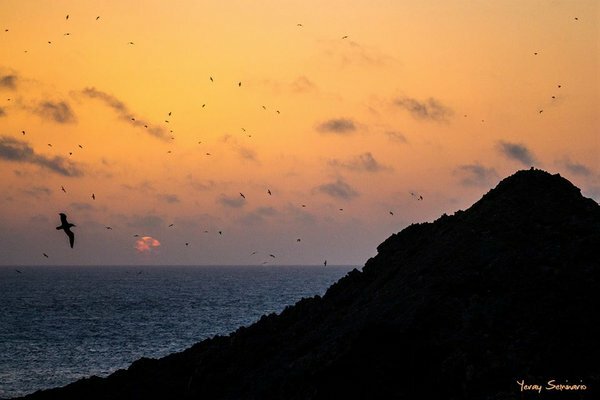 The Boreal Festival is an event for all the family that aspires to bring together music, art and the environment in a place that has unquestionable natural values, the Los Silos coast. It has a varied programme each year, and you can enjoy environmental workshops, street theatre, natural therapies, circus shows, world dances and many more activities. Then there are the usual activities, the ecomarket space, where artisans and companies from all over the island can show off their ecological, recycled, recyclable and local produce, and an ecotourism fair where many of the island’s tourist companies invite the people there to find out about products such as astro-tourism, sea kayaking, hiking, bicycle routes etc. The Festival also aims at being a sustainable event that respects the environment, the surrounding area and the people who live in it. That explains why we have imposed on ourselves an environmental management plan that is quote unique, among other things, it minimizes the ecological footprint. The advertising is totally sustainable since we moved from using ecological paper and biodegradable ink to not designing any manner of printed advertising material. All our advertising is on the Internet, through emails, social networks such as Facebook or Twitter, or on our web – www.festivalboreal.es. Besides, all the advertising has been adapted to that you can access it on your mobile phone. It promotes the use of public transport and car-sharing, it reduces waste generation, it controls noise impact, etc. 3. Have you decided on the content of the 2015 Boreal Festival? The truth is that we’re not sure yet whether there will actually be an eighth Boreal Festival; the current situation really makes it hard to organize an event of this nature. I am talking about the current regulations governing the organization of events and the lack of help and sponsorship for cultural events. 4. 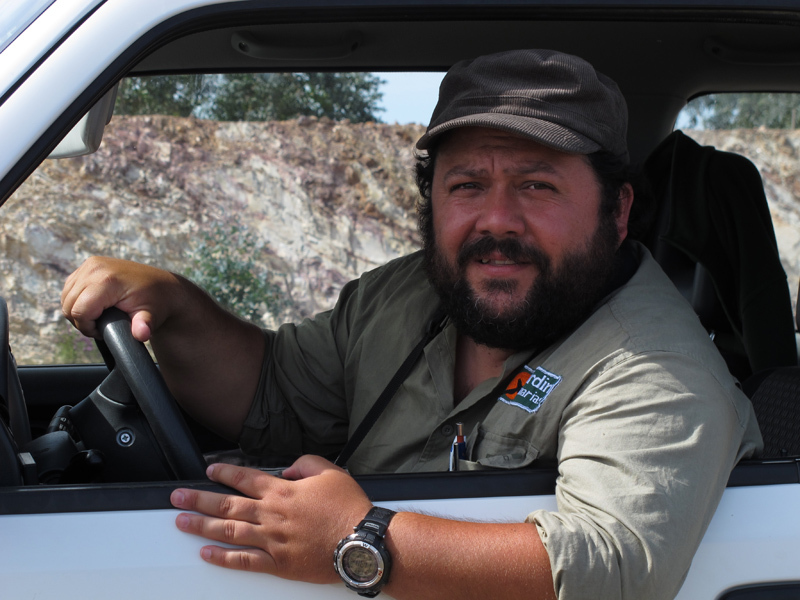 You are the director of the company Birding Canarias. What does this Company do? The company is dedicated to the study and conservation of the biodiversity, the development of environmental communication actions, consultation regarding ecotourism programmes and their organization, as well as the organization of sustainable events. 5. What has Birding Canarias achieved over these years? What is most important is that we have managed to stay in business and to survive the crisis, at a time when it seems that there is no place for culture or the environment. The powers that be forget all about the entire industry and the professionals who make a living from it; we generate wealth and employment, we pay our social security and we pay our taxes like any other profession, more than others in fact. 6. Apart from being a convinced naturalist, you are a nature photographer and educator and an environmental spokesperson. In your opinion, what role does dissemination play in protecting nature? I’m old school, I’m from the generation that learnt that you had to “know in order to conserver”. All our conservation actions are based on that. They all go hand-in-hand with large doses of communication, and we use different communication media: from the typical note in Quercus magazine or in the local press, to adapting to networks such as Twitter, Facebook, YouTube, blogs, WhatsApp, etc., or adapting our messages to suit people’s leisure time, as we do in the Boreal Festival for example. 7. What about photography, you’re a really keen photographer, aren’t you? For me photography is a communication tool. A good photo lets you get lots of messages across, and there are times you can even make a surprising impact on the public. 8. What is the major danger facing the islands’ biodiversity? The truth is that in recent years the islands’ biodiversity is facing a socioeconomic model that is devouring the territory and its resources, sustained by a society with barely any environmental values and little respect for the territory, and managed by a series of thoughtless politicians and technicians who know next to nothing about the reality they live in. This has led to the extinction of various island species and the disappearance of unique enclaves. 9. What measures you would propose to counteract this risk? We have to bring back the environmental education policies of days gone by. Nowadays all the actions are aimed at waste, saving water, and home ecology; we’ve forgotten about the islands’ biodiversity, our most precious jewel. People like to hear you talking about the animals in our fields, the fish in our sea, the plants in the forest, and so on. They like to know where they live, to hear that they are unique in one place or another, to feel proud of what is theirs, just the way Félix Rodríguez de la Fuente made them feel more than thirty years ago. We have to bring back nature study classes, encourage youth hostels and camps, get young people in contact with nature by making them take active part in it, providing them with information about resources and how they can help nature. Not with these campaigns that are so in fashion with childish phrases and illustrations in which they treat their audience as if they were totally stupid.